The amazing Casio EX-ZR100 is a full-featured stills camera with a very impressive trick up its sleeve – it can shoot photos at a rate of 40 shots per second at 10 megapixels, and can shoot video at an unbelievable 1,000 frames per second (albeit at 224×64 resolution) for some stunning slow-mo replay type shots. 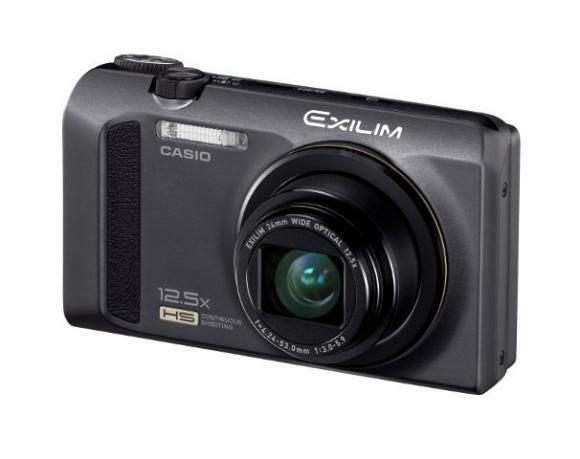 The EX-ZR100 shoots normal video at 1080p at a mroe reasonable 30 frames per second, and like the Casio Tryx, it also features the same art-mode feature. It’s expected to retail for $300 when it’s released in March.